Photo: Iris planifolia (Miller) Fiori & Paol. Eastern Mojave Vegetation Iris planifolia (Miller) Fiori & Paol. This Iris was found along highway A374 between Benaocaz and Grazalema. 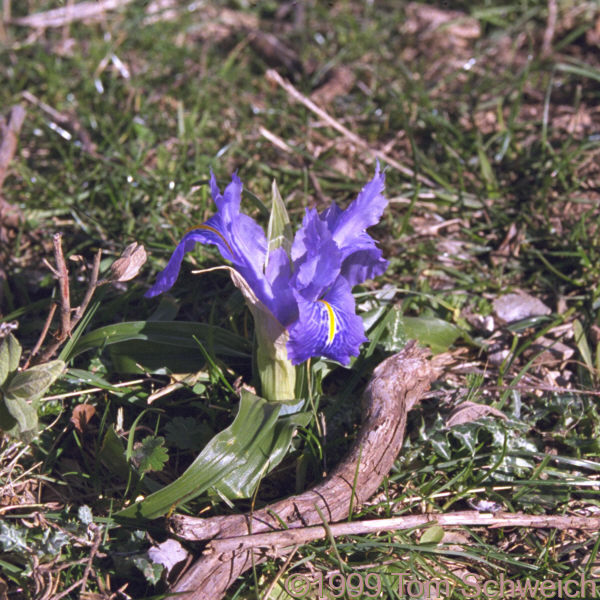 I had originally identified it as Iris xiphium by comparing my photograph with photographs in Polunin and Huxley (1966). Since then, François M has written me to to say that this is I. planifolia. There was no photo of that species in the book to compare. Other photos about Spain - Andalucia or Benaocaz.